Don’t get a crick in your neck from heavy headsets! This ultra-lightweight model lets you watch, listen, chat and play in comfort for as long as it takes to win. 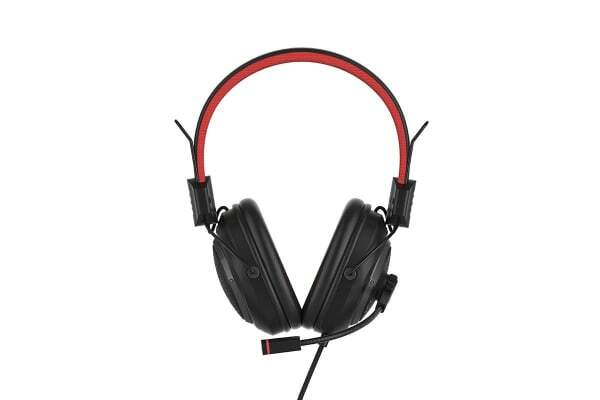 Game for hours in comfort and style with the Kogan Ultra-Lightweight Gaming Headset. 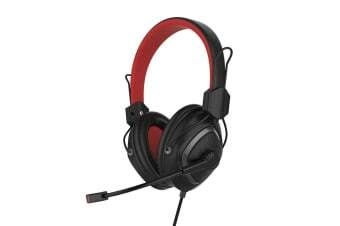 The adjustable band and ear-cups adapt to your head to provide a personalised fit and passive noise cancelling, and with a weight of only 174g, you’ll be able to game for hours without your head getting too hot and heavy. 40mm neodymium speakers create an exceptional soundstage so you can get fully immersed in your game – hear every footstep, catch every subtle cue. Nobody will be able to sneak up on you again! The omnidirectional 6.5mm microphone lets you speak clearly with other players, with a mute function and precise volume adjust so you can get the most out of your session. No matter what you play, this headset is right for you – it’s compatible with PC, Mac, PS4, Xbox One, Nintendo Switch, and smart devices with a 3.5mm jack.